New carpet can be a cost-effective and attractive flooring option for any home. 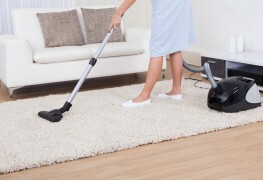 The cost for installing carpet can vary depending on a number of factors. 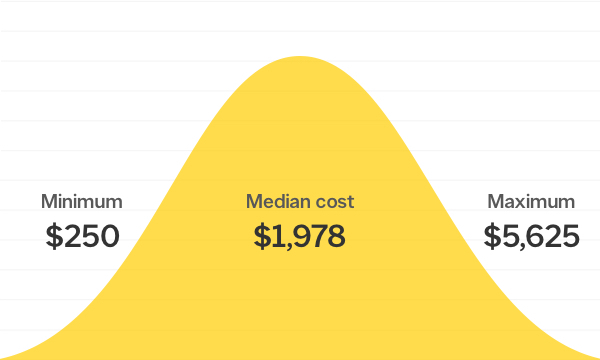 Read on to find out more about carpet installation costs in this Smart Tip. The floors in your home really can take a beating, These easy tips will help you keep them looking shiny and new in no time. Different stone can require different care. Research your stone to find out more. 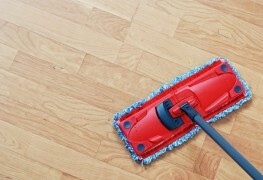 This guide is for general maintenance and cleaning of all stone floors. Keeping a no-wax surface clean is the key to keeping it shiny. Here's some easy ways to maintain that pristine look. A wood floor adds sheer beauty and warmth to your home and is quite durable. With the right care you won't need to re-sand or re-finish often. 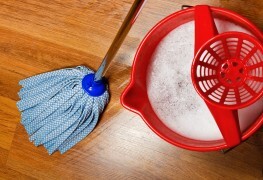 Here are six tips for maintaining your wood floors. Available at any hardware store or home centre and at many supermarkets, this combination of inexpensive tools can take on the majority of floor-maintenance tasks you are likely to meet. We walk across them every day, so keeping floors clean is important. Here's how to maintain the ones in your home, regardless of material. 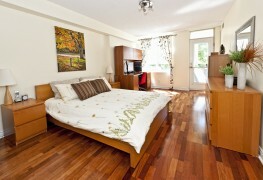 Laminate flooring can be beautiful way to personalize any home. What’s more, installing the planks is something you can do on your own. 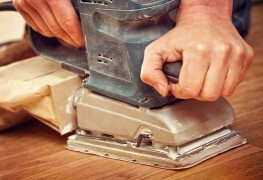 Follow these simple steps to install and enjoy your floor in no time! 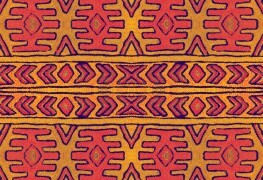 If you're looking for a colourful and unique alternative to an area rug, why not make your own painted floor cloth? Follow these steps to decorate your unfinished floor with a custom-painted piece of your own design. 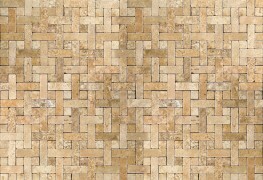 Glazed ceramic tile is durable and requires little care. The grout in the joints is more likely to give you grief. 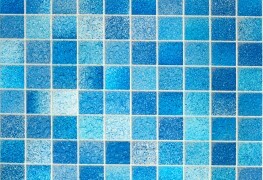 But the following tips will keep both the tiles and the grout in great shape. 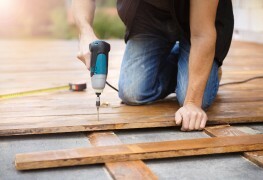 Replacing and fixing damaged floorboards by yourself will save you money compared to hiring a contractor or eventually having to replace the entire floor. These simple steps will give you the confidence to do it on your own. 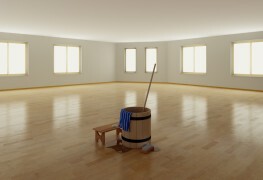 Sanding wood floors can be a large job. 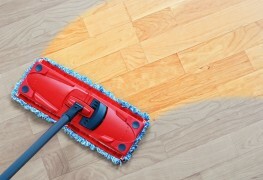 For the "do-it-yourselfer," these 6 easy steps will have your floors smooth and ready for stain in no time! There are many different flooring options available and it can be difficult to find one that will fit your home perfectly. 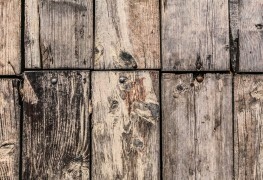 Here's what you need to know about wooden flooring before you make your choice. 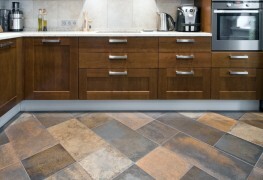 The choices seem endless when it comes to flooring, but each type is suitable for different environments. 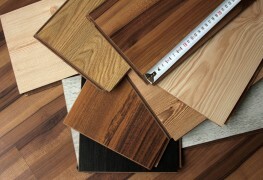 The following tips will help you differentiate between flooring types and choose the best one for your home.